Property Location When you stay at Marshall Slocum Inn in Newport, you&apos;ll be near the airport and minutes from Touro Synagogue and Redwood Library and Athenauem. 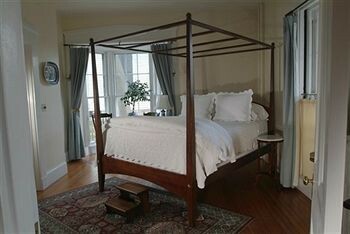 This bed & breakfast is within close proximity of Old Colony House and Newport Art Museum.Rooms Make yourself at home in one of the 5 individually decorated guestrooms. Complimentary wireless Internet access is available to keep you connected.Dining Quench your thirst with your favorite drink at a bar/lounge. A complimentary full breakfast is served daily.Business, Other Amenities Featured amenities include dry cleaning/laundry services and laundry facilities. Free self parking is available onsite.